We have a variety of scholarships available to residents of Carroll County. By completing the general application, you will be considered for scholarships that are administered through the Community Foundation, provided you meet eligibility requirements. Other applications should be completed as eligibility requirements are met. Please note some scholarships are administered through the high school guidance office. Be sure to check with the guidance counselors for a complete list. If you are wondering how you will pay for your education, the Indiana College Costs Estimator can help. This free resource offers real-world scenarios based on the information you provide about how to pay for school. Compare costs of college, complete with estimated aid packages from each school, side by side. You can also talk with a National Center for College Costs representative about the college selection process by calling toll-free at 877-687-7291 or e-mail your questions to info@collegecosts.com. 2019 Lilly Scholarship deadline: Deadline has passed. 2019 General Scholarship deadline: Deadline has passed. Purpose: The primary purposes of the Lilly Endowment Community Scholarship Program are 1) to help raise the level of educational attainment in Indiana; 2) to increase awareness of the beneficial roles Indiana community foundations can play in their communities; and 3) to encourage and support the efforts of current and past Lilly Endowment Community Scholars to engage with each other and with Indiana business, governmental, educational, nonprofit and civic leaders to improve the quality of life in Indiana generally and in local communities throughout the state. Scholarships: The program will provide scholarships for otherwise unreimbursed full tuition, required fees, and a special allocation of up to $900 per year for required books and required equipment for four years of undergraduate study on a full-time basis, leading to a baccalaureate degree at any Indiana public or private nonprofit college or university accredited by the Higher Learning Commission of the North Central Association of Colleges and Schools. Eligibility: The program is open to all Indiana residents who have graduated by the end of June 2019, with a diploma from an accredited Indiana high school and who have been accepted to pursue a full-time baccalaureate course of study beginning in the fall of 2019 at an accredited public or private college or university in Indiana. Requirements: To pursue four years of undergraduate study on a full-time basis leading to a baccalaureate degree at an Indiana College. 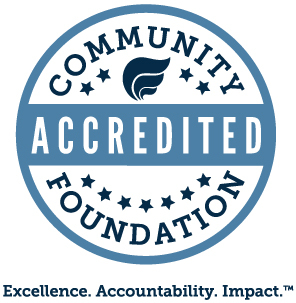 Keep the Community Foundation apprised of their academic status during college and post-graduation status (education and/or employment) for at least ten years after graduation. This fund provides scholarships to students graduating from Carroll County high schools who are pursuing a degree in the agricultural field, including agribusiness and veterinary sciences for farm animals. Preference given to Delphi Community High School students. Eligibility and selection criteria: (a) good character; (b) good citizenship; (c) ability to succeed in chosen field of study; (d) recommendation from a teacher and/or staff of the high school; and (d) financial need. *Use general scholarship application. Established by the Burlington Kiwanis Club, this fund provides scholarships to deserving, graduating seniors from Carroll County who will be attending a post-secondary educational institution. Eligibility and selection criteria: (a) graduating seniors from Carroll County. *Scholarship application available through the Burlington Kiwanis Club. Established by Jim Huffer in memory of Todd Burman, this fund provides support in equal parts for scholarships to deserving, graduating seniors from Carroll Jr.-Sr. High School and Delphi Community High School. Eligibility and selection criteria: (a) graduating seniors from Carroll Jr.-Sr. High School or Delphi Community High School. Preference may be given to students who are pursuing careers in law enforcement. *Scholarship application available through the H.S. Guidance Departments. The finalists in the competition for the Carroll County Lilly Endowment Community Scholarships are awarded scholarships in recognition of their scholastic achievements, financial need, communication skills, essay, character, and participation in the interview process as recommended by the Carroll County Services Committee and Board of Directors of the Foundation. This fund was established by Roy L. Crume. Scholarships will be awarded from this fund to high school graduates from the counties of Howard, Carroll, Cass, Clinton, Grant, Miami and Tipton, Ind., who are or will be attending any accredited trade or business school, such as Vincennes University and/or Ivy Tech Community College, who are deserving of financial assistance and who are likely to succeed as students at a trade or business school (not a four-year program). Eligibility and selection criteria: (a) good character and citizenship; (b) demonstrated commitment toward personal improvement; (c) ability to complete educational goals; and (d) financial need. The scholarship may be renewable based on certain conditions. *Use Roy L. Crume Scholarship application. This fund provides scholarships to students graduating from Delphi Community High School, Carroll High School and Rossville High School and home-schooled students who are Carroll County residents and seeking a business degree. Preference given to degrees in accounting. Eligibility and selection criteria: (a) academic ability to succeed in field of study of business with preference being given to accounting majors; (b) minimum combined math and verbal score of 1050 on SAT or the equivalent; (c) good character and good citizenship (no drug or alcohol related offenses); (d) church-related activities; (e) financial need; and (f) a recommendation from a teacher, staff of school and/or community member. *Use general scholarship application. Established by the Indiana Packers Corporation, this fund provides scholarships to qualified students graduating from any accredited Carroll County High School who are pursuing a program of study in agriculture at any college or university. Preference will be given to students studying animal husbandry. Eligibility and selection criteria: (a) superior work ethic; (b) high moral character; (c) above average intelligence; (d) excellent mental attitude; and (e) recommendation from teacher, principal, advisor or faculty member of the high with respect to the nominated student. *Use general scholarship application. Established to grant educational scholarships to Clinton, Cass and Carroll County residents, this fund provides scholarships to students who will have graduated from an accredited Indiana high school. Eligibility and selection criteria: (a) good citizenship and good character; (b) above average intelligence; (c) good scholastic record; (d) recommendation from the principal or faculty advisor of the high school with respect to the nominated student; (e) financial need; and (f) healthy lifestyle. *Use Mid-North Indiana Executive Committee for Christ Scholarship application. This fund provides scholarships for students graduating from any high school in the Sagamore Council area, with preference given to Eagle Scouts, who are accepted into a program leading to a bachelor's degree at an accredited college or university. Eligibility and selection criteria: (a) good scholastic record and demonstrates the ability to succeed as a college student; (b) good citizenship (school and community); (c) good work ethic; (d) preference given to Eagle Scouts; (e) financial need; and (f) a recommendation from the student's high school faculty or staff member. *Use H.W. 'Hod' Peabody BSA Scholarship application. This fund was established in memory of Bill Pearson. It provides scholarships to students graduating from any Carroll County high school who will be attending an accredited post-secondary educational institution to study agricultural or an agriculture-related business. Eligibility and selection criteria: (a) academic ability to succeed in chosen field of study; (b) good character; (c) financial need; and (d) recommendation from teachers and staff of school and/or community members with respect to the student. *Use general scholarship application. This fund provides scholarships for graduating seniors from any high school in Howard, Tipton and Wabash counties and in any county contiguous to Howard or Tipton counties who are going to attend any accredited college or university in Indiana, and who demonstrate need for assistance with educational expenses. This scholarship may be renewed based on meeting eligibility requirements. Eligibility and selection criteria: (a) high school grade point average of 3.5 on a 4.0 scale; (b) class rank in the top 25% of graduating class; (c) attending any accredited college or university in Indiana; (d) intended college major in the area of business; (e) good citizenship; (f) good character; (g) active participation in extracurricular activities; and, (h) demonstrated need for financial assistance. *Use R.A.C.I. Scholarship application. Established by Joyce Manning and Mr. and Mrs. Paul Manning in memory of her husband and his father, Irving E. Manning, this fund provides scholarships for students graduating from Carroll Jr.-Sr. High School who will be attending a post-secondary educational institution in Indiana and who might not otherwise be able to attend a university or community college/technical school. Eligibility and selection criteria: (a) graduate of Carroll Jr.-Sr. High School; (b) for students that might not be able to attend a university or a community college/technical school. *Scholarship application is available through the Carroll Jr.-Sr. H.S. Guidance Department. Established by Carolyn Gilbert and her family, this fund provides scholarships for qualified students graduating Carroll Jr.-Sr. High School who will be attending an accredited post-secondary educational institution, who are pursuing an education which will lead into one of the "helping" professions includes, but is not limited to, professions in the medical or education fields. Students attending post-secondary educational institutions other than a baccalaureate (4-year) program are eligible. Preference will be given to students who have overcome a significant obstacle or disadvantage. Eligibility and selection criteria: (a) academic ability to succeed in chosen field of study; (b) evidence of determination and perseverance to continue education; (c) good character; (d) recommendations from teachers and staff of school and/or community members with respect to the nominated student; and (e) financial need (financial documentation required). *Use general scholarship application. This fund was established for graduates of Carroll High School who will be attending an accredited post-secondary educational institution, with preference given to students studying in an education major degree program. Eligibility and selection criteria: (a) a minimum of a B average and academic ability to succeed in chosen field of study; (b) evidence of determination and perseverance to continue education; (c) good character; (d) recommendation from teachers and staff of school and/or community members; and (e) financial need * Use general scholarship application. This fund was established by Jeanne Thornburg in memory of her husband. The fund is to provide scholarships for qualified students graduating from Carroll Jr.-Sr. High School who will be attending an accredited post-secondary educational institution and who have the potential to succeed. Preference will be given to students who have actively participated as members of the band and/or choir. Eligibility and selection criteria: (a) academic ability to succeed in chosen field of study; (b) evidence of determination and perseverance to continue education; (c) good character; (d) recommendation from teachers and staff of school and/or community members with respect to the student; and (e) preference will be given to students who have actively participated as members of the band and/or choir. *Use general scholarship application. Established by John and Kathie Connelly, this scholarship fund provides educational scholarships to deserving students graduating from Delphi Community High School who will be attending a college or university and are likely to succeed as college or university students. The scholarship will be awarded to the recipient after he or she has completed the freshman year at a college or university. The recipient must maintain a grade point average of 2.5 or above on a 4.0 index or the equivalent. Eligibility and selection criteria: (a) financial need; (b) scholarship; (c) community involvement; (d) varsity letter award during senior year; and (e) recommendation from an individual who is not a relative. *Use general scholarship application. This fund provides scholarships for Delphi Community High School graduates who are or will be attending an accredited college or university. Preference will be given to students studying science. Eligibility and selection criteria: (a) good character; (b) good citizenship; (c) above average intelligence; (d) good scholastic record; (e) recommendation from teachers or staff of school; (f) financial need; and (g) healthy lifestyle. *Use general scholarship application. This fund provides scholarships for Delphi Community High School graduates who are or will be attending an accredited college or university, who have the potential to succeed as college or university students. The scholarship may be renewed each year of undergraduate college education, subject to review annually by the committees and the availability of sufficient funds, and subject to other conditions, such as achieving the following grade point averages: 2.0 for the freshman year; 2.5 for the sophomore year; and 3.0 for the junior year. Eligibility and selection criteria: (a) graduate of Delphi Community High School; (b) academic ability to succeed in chosen field of study; (c) good character; (d) financial need; and (e) recommendation from teachers, staff of school and/or community members with respect to the student. *Use general scholarship application. Established by Joan McCain, this fund provides support to Delphi High School (Carroll County, Indiana) for Joan McCain Scholarships for deserving students graduating from the high school who will be attending any post-secondary educational institution. Eligibility and selection criteria: (a) graduating students from Delphi Community High School who will be attending any post-secondary educational institution *Application is available through the Delphi H.S. Guidance Department. Established by John and Mary McCormick, this fund provides scholarships for qualified students graduating from Delphi Community High School. Established by Mr. and Mrs. Mullin, this fund provides scholarships to support a Delphi Community High School graduate who will study at any Indiana college or university and is likely to succeed as college or university students. Eligibility and selection criteria: (a) superior work ethic; (b) high moral character; (c) excellent mental attitude; (d) a C+ or higher grade average; and (e) in the event of a tie between applicants, the student with the greater financial need should be the recipient. *Use general scholarship application. This fund provides scholarships for Delphi Community High School graduates who are or will be attending an accredited two- or four-year college or university. Preference will be given to students studying science. First-year applicants must submit a copy of their acceptance letter. Eligibility and selection criteria: (a) good character; (b) good citizenship; (c) above average intelligence; (d) good scholastic record; (e) recommendation from teacher and/or staff of the high school; (f) financial need; and (g) healthy life style. *Use general scholarship application.